Milk & Honey – a sweet milk with fresh honey. Chill’d Tobacco – rich tobacco leaves with hints of peppermint and dark chocolate. This brand has a long standing reputation as a tried and true e-liquid company producing quality e-liquid for the vaping community. At Crescent City Vape we carry two specialty flavors from their line, Milk & Honey and Chill’d Tobacco. Milk & Honey is a light and airy marshmallow with sweet condensed milk, drizzled in honey. To satisfy those who might prefer a more traditional blend closer to that of a cigarette, Chill’d Tobacco is a combination of rich tobacco leaves with hints of peppermint and mild undertones of dark chocolate. 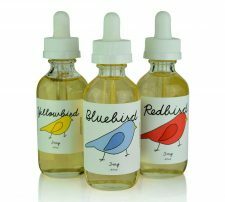 Well known in the community as classic vape flavors, these flavors continue to satisfy vapors both new and old.